Sunglasses are an essential part of a day of fishing, and my personal favorite are Costa Del Mar. They’re so important that if i leave the house with out other accessories for a day of fishing, i don’t turn around to get them but my glasses are an absolute must! A great pair of sunglasses can do multiple things to improve your success on the water as well as make your day a lot more comfortable. I would love to share what makes a pair of sunglasses great in my opinion and what I look for when buying a new pair. First thing i look for is the lenses, lens material and color can vary and choosing the right one is vital. Lets talk about material first, i prefer glass lenses due to their scratch resistance and superior clarity. The down side to glass lenses are the added weight, but this can be offset by the frame type. (which we will cover later) Next you want to choose the right color, that depends on where you fish. I like an amber shade with a green mirror finish on the outside like the Costa Del Mar 580g green mirror, the mirror blocks more light and the amber color helps with seeing in the water when you’re fishing inshore where the water is usually brown or a light green. When you fish offshore in clear blue water a black lens with blue mirror is best like the 580g blue mirror. Next is the frame style, this is almost as important as the lens type. The most important features i look for is the weight and design. The lighter the better with out suffering in durability. The design is essential also and the best bet is to look for a frame style with a design that blocks any light from entering through the side. These are sometimes referred to as “wraparounds” and if you are a fisherman you know the importance of a frame that blocks light from the sides. I like the “hammerhead” and the “black fin” styles for this very reason. 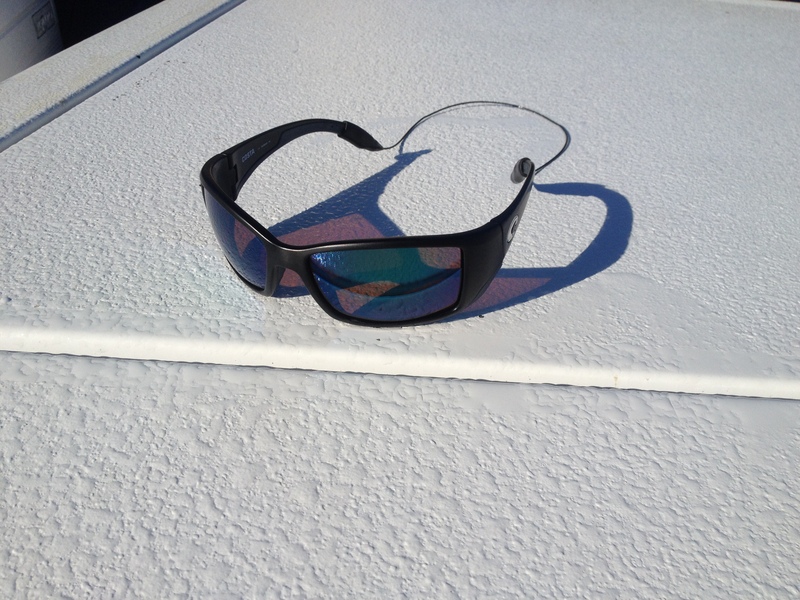 I hope this helps you when choosing the right sunglasses for fishing in southwest Florida, be sure to check out our blog for other useful tips and tactics from the pros!